A new beginning for two well known local names in real estate. This is a very exciting time for us. 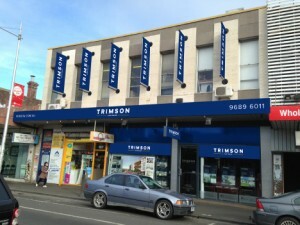 We’ve been based in Footscray for over 50 years and in that time, have witnessed and been part of its transformation from a village of migrants and workers to a highly sought-after, cosmopolitan hotspot. Not only has the Inner West changed, but we’ve witnessed a few changes ourselves. Most notably, our name and our partners. Our Partners, Frank Trimboli and John Verduci, share between them over 80 years in real estate. That’s a lot of mileage and a lot of knowledge that you can only achieve over time. And with that much experience guiding our team, you can be assured that you are in safe hands. As a seller, you get a broad reach to an established network of home buyers and investors, plus the experience to secure the best price for your property. As a buyer, you get local knowledge to help you determine the best place to call home or invest in. As a landlord, you get a dedicated property management team to help you achieve your investment goals. As a renter, you can choose your new home from one of the largest rent rolls in the Inner West. We look forward to continuing the journey with you, and providing you continued success. Call us or fill in our online form for a No-obligation Free Market Appraisal of your property.